Siobhan "Juicy" Cahill (Mary Gross) finds more Jewish Purim revelry than Irish celebrating St. Patrick's Day. The first appearance of Juicy Cahill in over a year, with some continuity from The Irish Radio Hour due to the appearance of Kazurinsky as the defrocked Father Timothy Owens, who is now "Rabbi Father TImothy" thanks to a few classes. As a whole, this was OK, but a bit long for the premise; the usually-dependable Gary Kroeger was funny as the drunk reveler, though, and Mayor Koch's appearance brought an energy boost to the ending. There would be several references to Purim throughout the rest of the show. Quite a few familiar faces in the background of this scene, including writers Andrew Smith, Nate Herman and Andy Breckman. Regular Ebersol-era extra "mustache man" (who had the speaking role at the very beginning of "Opie's Back") is also in the crowd. Billy Crystal recalls his high school days and being dominated by his overactive glands during puberty. This is a great monologue. Billy Crystal is completely in his element on the SNL stage, something that would be used to the show's advantage when Crystal joined the cast the next season. This also has a great hook (Crystal doing the "voice" of his glands in a vocal-fry grunt of "NOW NOW NOW"), but what makes the whole thing work is Crystal's skill as a storyteller. Crystal uses his Ricky voice ("Unbelievable!") early in the monologue when he talks about the people from his old high school who call him the "class clown." A new NBC TV movie features Pee-Wee Herman (Mary Gross) as a woman going undercover as male. Not great but brief. I give Gross credit for doing an unusual impression, even if this wasn't one of her better ones. The reference to using an ace bandage to bind her breasts actually bugs me a little bit; I know this was a comedy sketch from over 30 years ago, but from knowing transfolk, I know that is actually not a safe way to bind. After diverting the teacher (Robin Duke), Mr. York (Billy Crystal) secretively pitches his school's real benefits to a high school class. Another sketch I've always enjoyed, with Crystal's nebbishy representative dropping the facade as soon as the teacher's gone to tell students of what is essentially a four-year paid vacation in exchange for keeping the ruse (otherwise, "we will find you and we will kill you"; a case where the repetition of a joke actually works). 40 years after World War II, a couple (Robin Duke and Tim Kazurinsky) realize they forgot to let out the family hiding from the Nazis in their attic. Good premise, and it has its moments, such as Gross's "young girl" character being a horny 55-year-old and Eddie Murphy's character work as the elderly, guilt-tripping Mr. Breckman. I can see why this was one of the last-aired Murphy pretapes, though; it's not bad, but Murphy doesn't really walk away with this like he normally does. The reveal of this sketch was done the same way as in "The New Celibacy" two years back; I wonder if this was by the same writer. Recorded September 21, 1983 at the preview show; the "Amsterdam, 1983" title card makes a little more sense when you realize this was a held-over pretape. 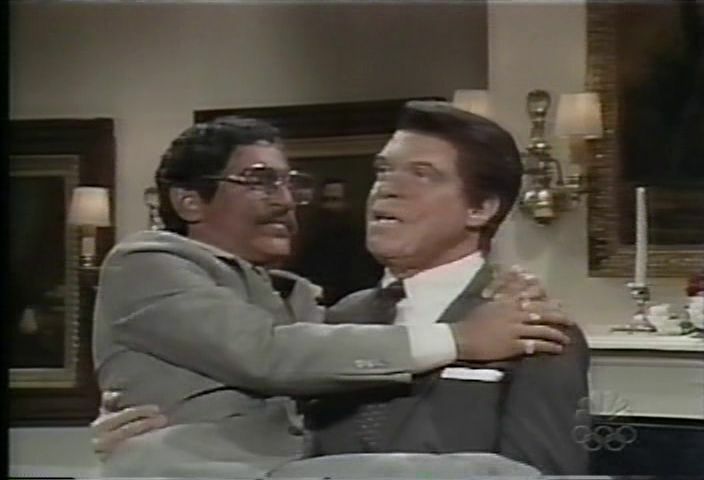 Ronald Reagan (Joe Piscopo) asks for Sammy Davis Jr.'s (Billy Crystal) help on the campaign trail. In the wake of Eddie Murphy's departure, Joe Piscopo may have been the de facto star of SNL, but Billy Crystal dominates this sketch with his iconic impression, and does some good physical work here. I've been trying to figure out how I'm going to tackle the topic of Billy Crystal's impression of Sammy Davis Jr., particularly the aspect of a white performer impersonating a black man (though one could argue Davis's Jewish identity figures larger in Crystal's impression). It's more uncomfortable to watch now, and Crystal got a fair bit of criticism for doing it at the Oscars a few years back, but, as Davis's own daughter notes, her father gave the impression his full blessing. Havnagootiim Vishnuuerheer (Tim Kazurinsky) answers more viewer-submitted enigmas and asks a few questions of his own. Hervé Villechaize (Billy Crystal) explains why he left Fantasy Island. So many cheesy "short" puns here, though Jim Belushi's host character elevates things by being a bit antagonistic towards Villechaize ("Like the audience really cared!") and lampshading the badness of the puns. Another Second City shout-out: Belushi's character is named after longtime music director Fred Kaz. 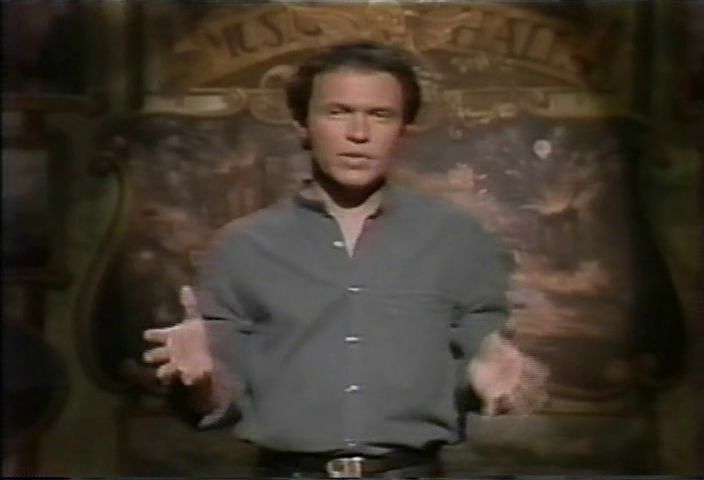 Billy Crystal anchors the news in character as Fernando Lamas (introduced by Pardo as such), which would soon transcend the impression into becoming just "Fernando". No photo-based jokes here tonight; instead, Fernando takes a look at which celebrities endorsed which candidates, something that's already been done on the show, though this time there are more random jokes about the individual celebrities that keep this from being too dry. Crystal also ad-libs a few times here. 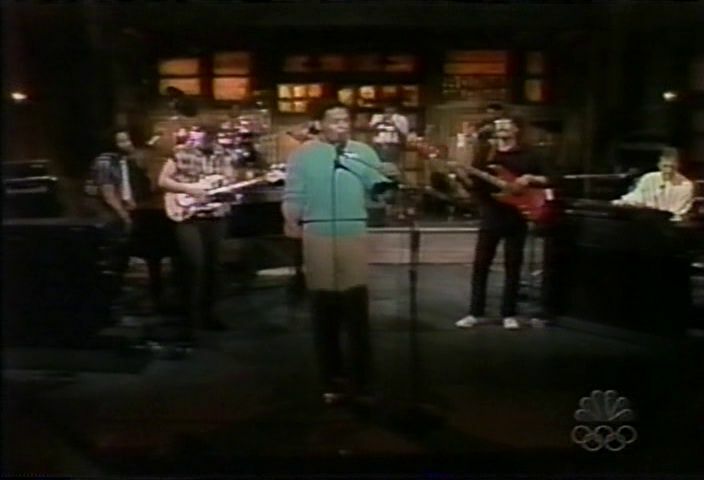 Robin Duke gets a rare appearance on SNL News to give the Michael Jackson Report; this is her first news appearance since the 1982 Eddie Murphy-hosted Christmas show (not counting some pieces that were cut after dress in November and December 1983), and her only news appearance as herself. Despite a few flubs and a malfunctioning Michael Jackson lighter, I enjoyed this. It was prescient in parodying the media overexposure of celebrities, and had a few funny lines (particularly the slower students coming to a school's "dress like Michael Jackson" day as Jermaine). I wonder if Duke got this on the air as a birthday present (she turned 30 four days before this aired); the similarly-misused Sasheer Zamata had a Weekend Update feature the day after her own 30th birthday. Gary Kroeger is back with another movie review, this time of Splash, which again, focuses on the female lead's body: he feels cheated that Daryl Hannah's hair covered her "sboob" (with a demonstration involving a doll and a hairdryer) and questions whether the characters' relationship can last due to her being "fin from the waist down." He also manages to break out his Dwight McNamara voice to illustrate the difficulties of talking underwater. This had enough to differentiate it from the previous movie reviews, and Kroeger does well as usual. At the end of Kroeger's review, Crystal mentions to him that Daryl Hannah will be hosting the show in three weeks and will be able to answer his questions; Michael Douglas ended up hosting that week's show. I assume this exchange would have been cut from the repeat version, but I don't actually have a copy of a repeat edit of this show. Jim Belushi brings back Rappin' Jimmy B. for the third show in a row, announcing his write-in candidacy for President and offering solutions on current issues like defense. Like other repeated bits, Rappin' Jimmy B suffers from diminishing returns the more Belushi does it. 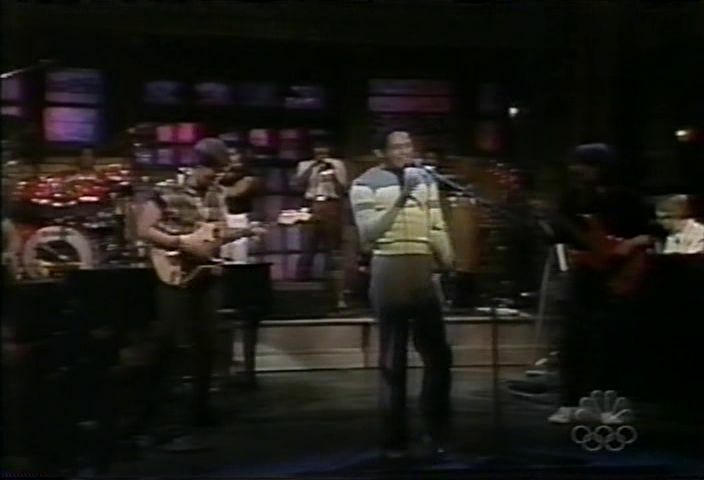 Great performance of the smooth single (co-written with David Foster and Jay Graydon) from 1983's Jarreau album, with Jarreau getting applause for sustaining a ten-second note (the audience reaction is a little hard to hear in the mix, but you can see them during a keyboard shot) has a full band with him this time, including Charles "Icarus" Johnson (guitar), Bobby Lyle (keyboards), Michael Paulo (saxophone/flute), Michael "Patches" Stewart (trumpet), and The Yellowjackets' Jimmy Haslip (bass) and Ricky Lawson (drums). I'm still not entirely sure about the IDs of the second keyboard player and percussionist. Charles Johnson is now known more for his political blogging. 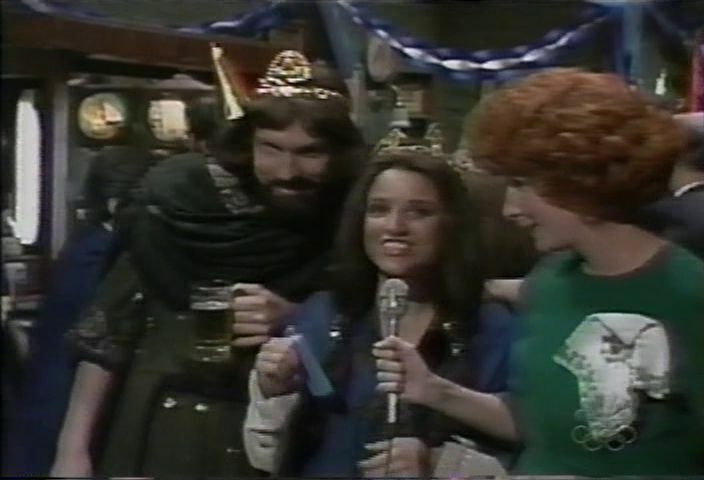 This is also the first SNL music performance to feature a Budweiser sponsorship message immediately beforehand; Brad Hall does the voiceover tonight, but Don Pardo would normally announce the message. Budweiser sponsor spots turn up periodically through the rest of this season and the next; after a 17-year absence, the sponsor message returned to the show in January 2002, this time immediately after the first music performance. iTunes currently has the post-performance sponsor plug. 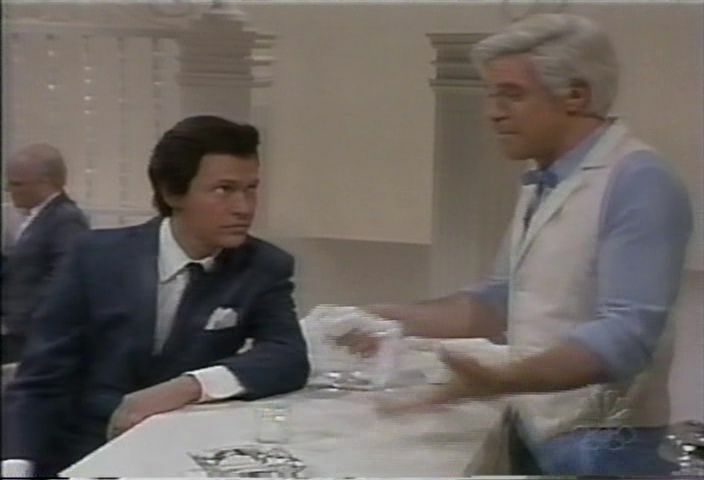 Bartender St. Peter (Joe Piscopo) lends counsel when John F. Kennedy (Billy Crystal) expresses unhappiness about Gary Hart copying his style. A lower-key sketch, and a rare (though gentle and indirect) political satire piece on the Ebersol SNL; it's not a home run, but I liked this approach better than some of the more cartoony Reagan pieces. Despite the specific references to the 1984 election, I can see this kind of sketch being done in any time period of the show's history. Piscopo plays support to Billy Crystal again, and the other regulars who appear (Hall, Kroeger, Belushi) are in mostly non-speaking roles. Former SNL featured player Yvonne Hudson appears as a slave that Abraham Lincoln's out with behind Mary's back in a slightly tasteless visual joke; I'm not sure who's playing Lincoln or Amelia Earhart in this scene, though. Rita Caranary (Mary Gross) and Rachel Schmiltstein (Julia Louis-Dreyfus) advertise their new musical about a mother and daughter. 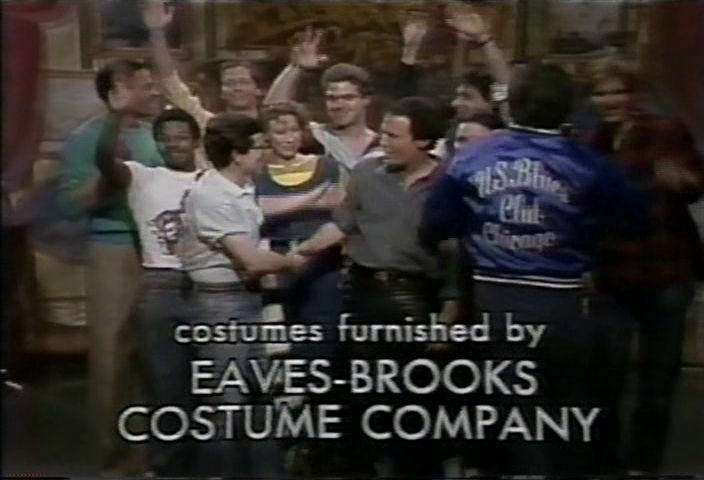 A parody of a real commercial for the 1984 musical The Rink; this was enjoyable, though I find that it makes a little more sense when you realize the source material and that Gross and Louis-Dreyfus are playing low-rent versions of Chita Rivera and Liza Minnelli. 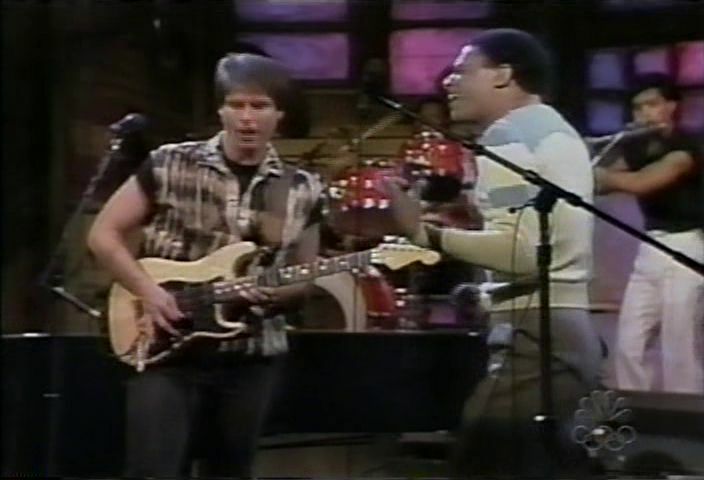 MUSICAL PERFORMANCE: "TROUBLE IN PARADISE"
A poppier, more uptempo number from Jarreau; Al brings energy to his performance, and Michael "Patches" Johnson can be seen playing air guitar with his trumpet. 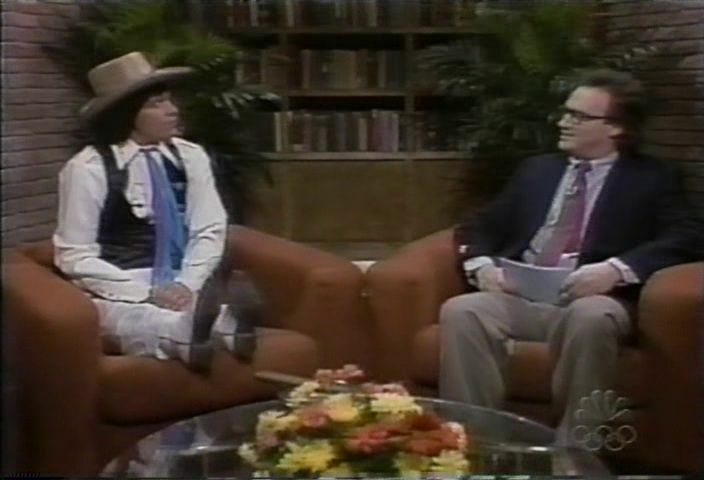 Billy Crystal reminisces about being bumped from the first episode of SNL. This is only about a minute long; I wonder if this was mainly an "emergency time filler" to pad space between commercial breaks when a longer sketch got cut (tonight's show was very top-heavy and it seemed to run later than usual). Once again, Crystal's storytelling abilities and comfort on the stage make this entertaining. 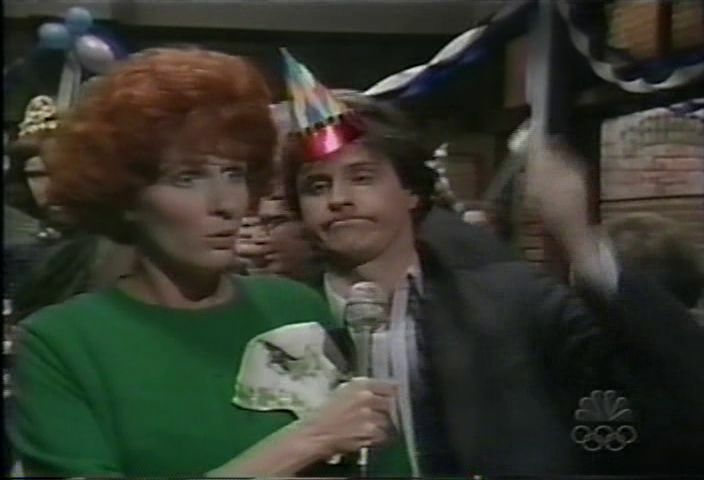 Crystal mentions fellow first-show performer Valri Bromfield as being on The New Show; I think this is the only mention of Lorne Michaels' failed NBC sketch show on SNL. Crystal also mentions this is episode 370: this is the show's "official" episode number. Up to the 2007 writers' strike, the official show numbering system counted repeats as unique episodes, so every live show and repeat had a unique episode number up to November 3, 2007; the May 21, 2016 broadcast is the 808th live show but is officially numbered show 1704. The "official" episode numbering system is brought up again in Bill Murray's 1987 monologue (officially episode #500). 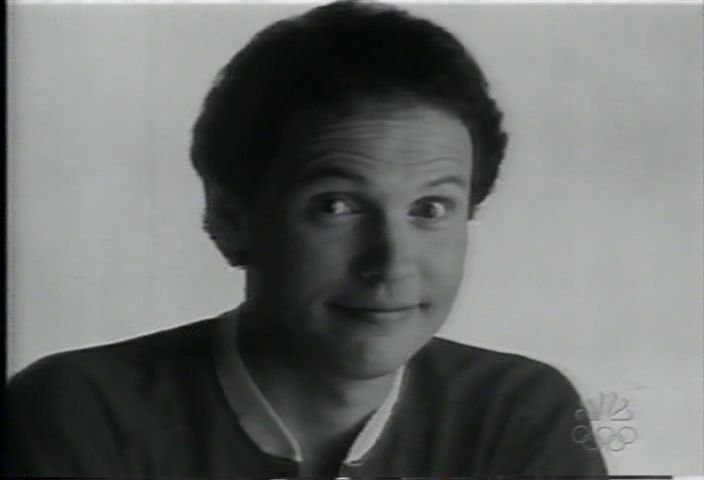 Channeling Fernando, Billy Crystal says he had a "marvelous" time. Clint Smith joins the cast on stage; the credit scroll cuts after the writers list. The post-Eddie Murphy period begins with somewhat of an in-the-middle show that was helped a lot by the host: Billy Crystal did a fantastic job and fit in with the show completely, coming across more as a member of the cast than a special guest. Crystal's presence made this feel a bit like a preview of the direction the show would take in next year's all-star season, where he was the core of the year's cast but able to step in as unofficial host if needed. With Murphy gone, most of the rest of the cast has a fairly balanced representation tonight, though Brad Hall gets the short end this week with no featured bits of his own.